Local planning authorities frequently ask for a historic building survey to provide a better understanding of the building’s history and a record of its physical form and fabric prior to its alteration or demolition. TRIGPOINT Conservation & Planning has successfully undertaken a number of historic building surveys covering a broad range of buildings, from rural farm buildings to Victorian industrial buildings, enabling its clients to achieve their development proposals.These surveys typically include a written report, a photographic record and a drawn survey, combining documentary research with a visual assessment of the structure that provides an overview of the building’s date, sequence of construction, evidence of previous alterations and identification of principal architectural features. A photographic survey was undertaken by TRIGPOINT Conservation & Planning of the former Rosebery County Junior School in advance of the client’s proposals to convert the buildings to residential accommodation. Rosebery County Junior School was built by the Loughborough School Board at the end of the nineteenth century and is now a Grade II listed building. The building has survived very much as originally built and the photographic survey now provides a detailed record of the original functions and fabric of the building as well as its surviving architectural features. Following the submission of the photographic survey, the local planning authority was able to discharge the appropriate planning condition allowing our client to carry on with his refurbishment works and the archive has been deposited with the County Council. A Level 2 Survey was undertaken by TRIGPOINT Conservation & Planning of the farm buildings and cottages at Westfield Farm in advance of the client’s proposals to redevelop the property. The results of the survey revealed that the buildings had progressively developed over time from an early timber frame building, probably built at the time the land was first enclosed in the mid-sixteenth century, to the range of brick farm buildings added in the late eighteenth century and throughout the nineteenth century. The survey also identified distinctive changes in the buildings and their uses as a result of a shift from arable farming to dairy farming during the late nineteenth century. This information was then able to inform the planning application made to the local planning authority. A Level 2 Survey was undertaken by TRIGPOINT Conservation & Planning in accordance with a brief prepared by the City Council’s Conservation Group in advance of the demolition of the buildings. The results of the survey revealed that the buildings were dated to the mid-nineteenth century and comprised of a domestic range at the front of the site, used principally as a boarding house, with a series of workshops at the rear, which had been substantially altered and extended during the course of the twentieth century. The local planning authority was able to discharge the appropriate planning condition following the submission of the survey. To satisfy a planning condition TRIGPOINT Conservation & Planning prepared a Level 2 Survey was in advance of proposals to convert this range of farm building to four dwellings. 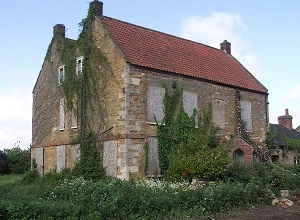 The results of the survey revealed that the complex of farm buildings had been developed sequentially over a period of time, the earliest building, a large threshing barn, was dated to the late seventeenth century while the remaining farm buildings were added in stages throughout the nineteenth century, although a substantial part of the historic farm complex was removed in the late twentieth century. 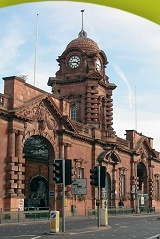 The local planning authority was able to discharge the appropriate planning condition following the submission of the survey and the archive was deposited with the County Museum. A Level 2 Survey was undertaken by TRIGPOINT Conservation & Planning in accordance with a brief prepared by the County Council’s Assistant Planning Archaeologist in advance of the refurbishment works and extensions to this Grade II listed building. The results of the survey revealed that the buildings were dated to the mid-nineteenth century and comprised of a modest double-pile cottage that largely retained its original form with four principal rooms on each floor. Following the submission of our survey, the local planning authority was able to discharge the appropriate planning condition allowing our client to carry on with his refurbishment works.